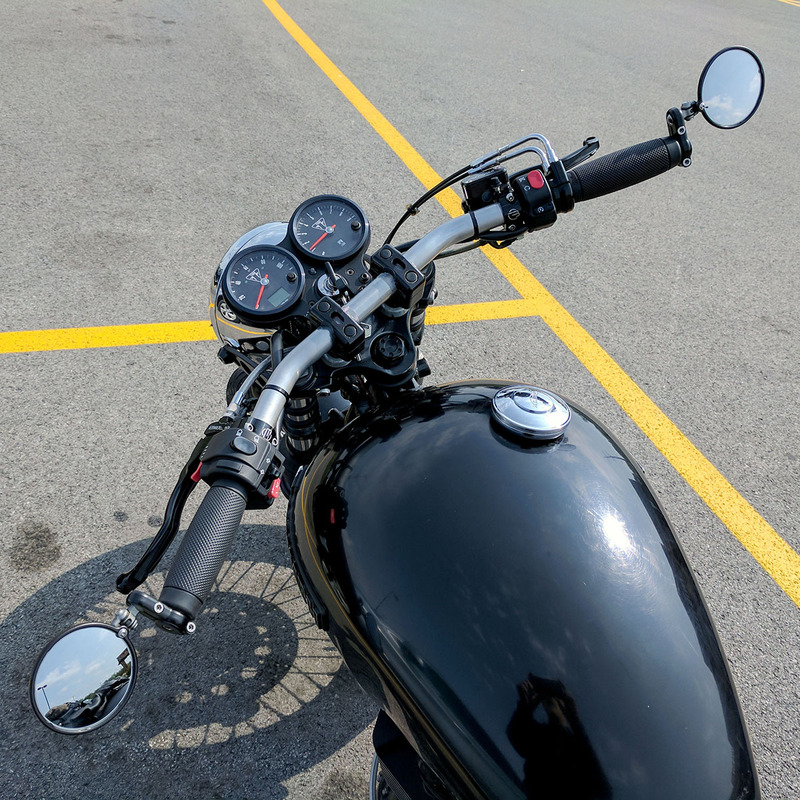 I’ve been using the 1″ Granturismo black handlebar grips from Bellacorse for a number of years now. This April, I went on a 4 day trip with some buddies to visit Aerostich in Duluth, Minnesota and we ran into some rainy, cold weather on the way. 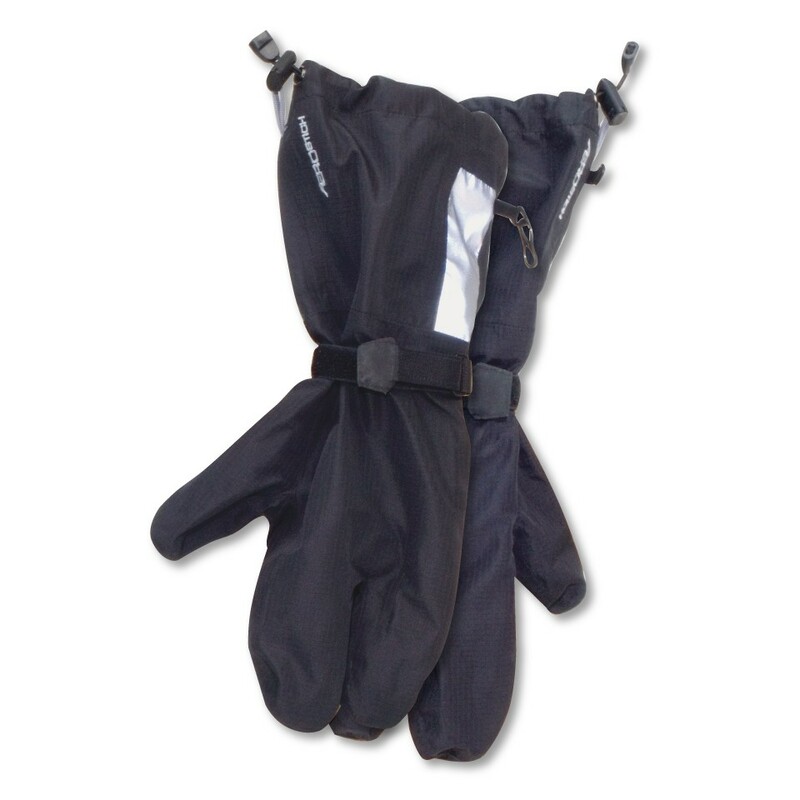 At Aerostich, I picked up a pair of Triple Digit Covers, which are really nice weatherprood nylon rain covers designed to fit over your regular gloves and keep them dry. Using them on the way home I realized how hard it was to keep a grip on the Granturismo rubber material when wet. They are harder rubber/plastic in makeup than most of your modern, more “gummy” hand grips. So, I went online and did some research, discovering the Biltwell Recoil Grips in the process. They have a similar shape to the Ganturismo’s – which I like – but are made of softer, “gummier” material, with a nice “cross-hatch” grip pattern. 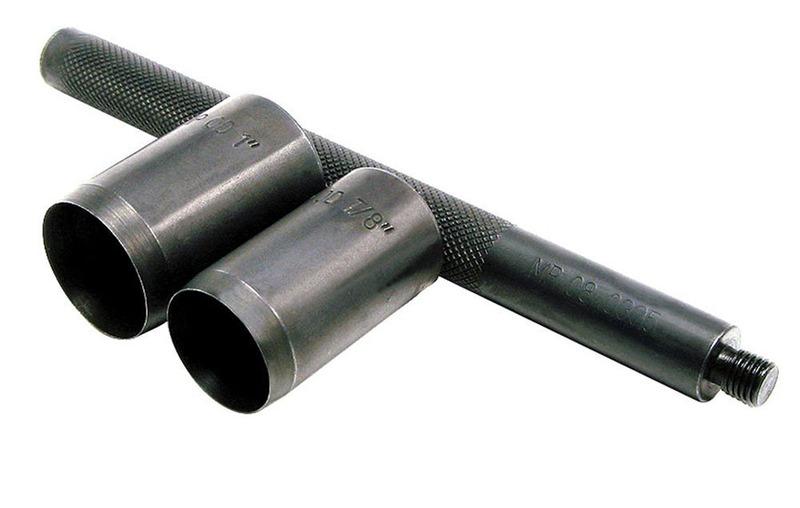 So, I used my trusty Amazon Prime account to order a pair of Biltwell GR-GCY-01-BK Black 1″ Recoil Grips for $17.95. They arrived 2 days later as promised! 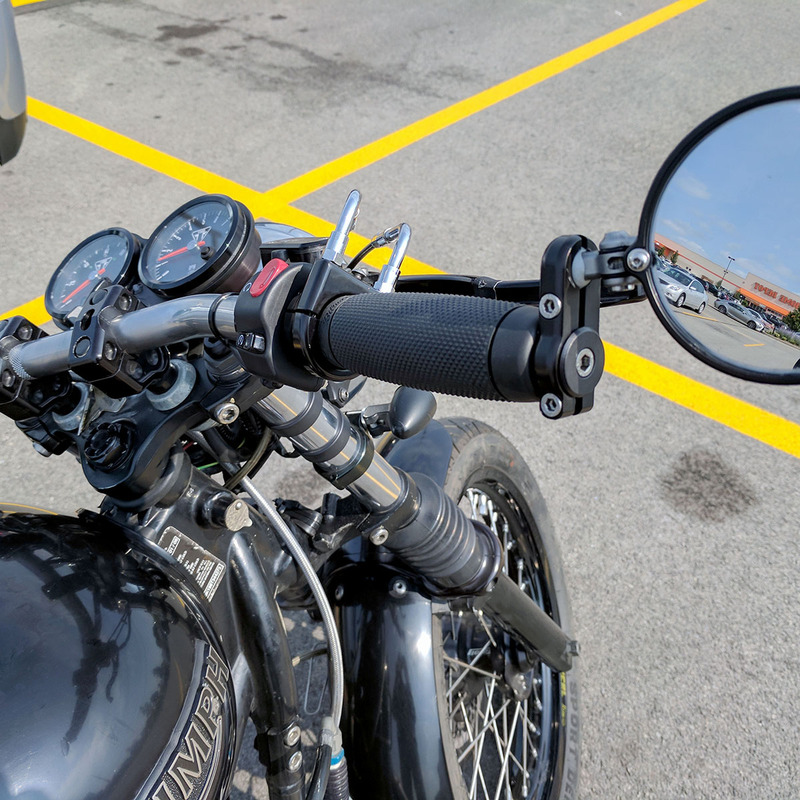 After they arrived and I inspected them, I realized they were not designed for bar-end mirrors. They had having closed just like the Granturismo’s. In the past I have cut off the ends by hand with box cutters, with varying degrees of success on the cleanliness of that cut. I wanted the finish look of the Recoils to be better, so I went back online to do some research. Using trusty Google, within a few minutes I discovered that Motion-Pro made a handy kit specifically for this purpose that includes 1″ and 7/8″ cutters. So, I ordered the Motion Pro 08-0335 Grip End Cutter from Amazon for $24.29, which arrived 2 days later! 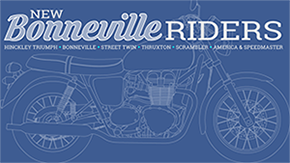 Today, I had a chance to use the cutter and then install the grips on my 2008 Bonneville. The Motion-pro cutter worked flawlessly. I screwed the 1″ cutter onto the end of the punch shaft, inserted it into the Biltwell grip, laid the end of the grip against a piece of scrap wood, and hammered it a couple of times until it cut through the end of the grip. I pulled it out and inspected my work and voila, a perfectly round 1″ hole at the end of the grip! I repeated the process on the other grip, and was ready to install them. 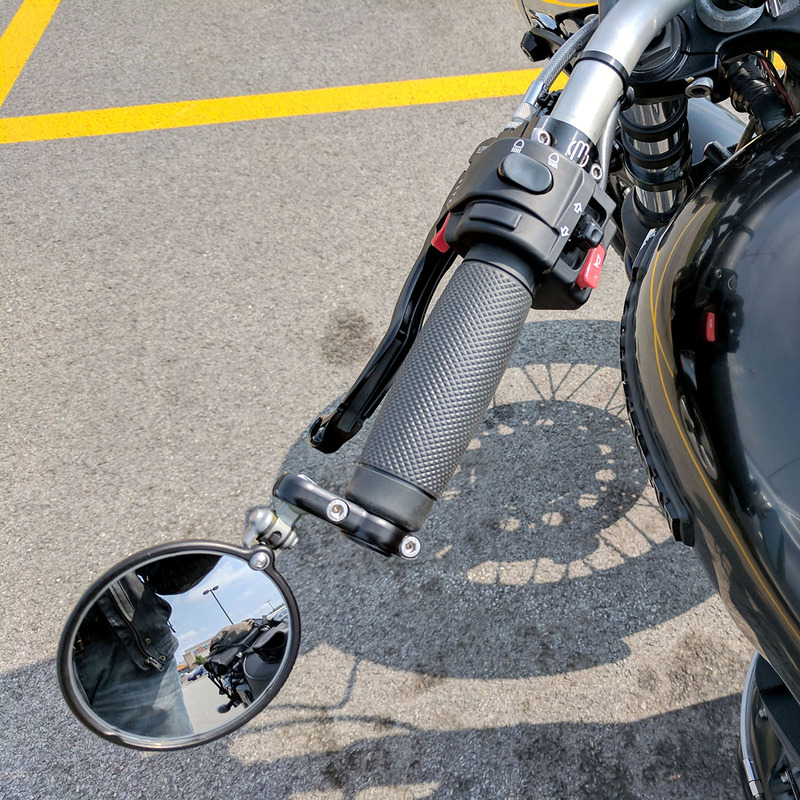 Next, I removed my CRG Hindsight Lanesplitter Bar End Mirrors with Billet Internal Adapters that I had purchased from Revzilla and installed in June of 2016. 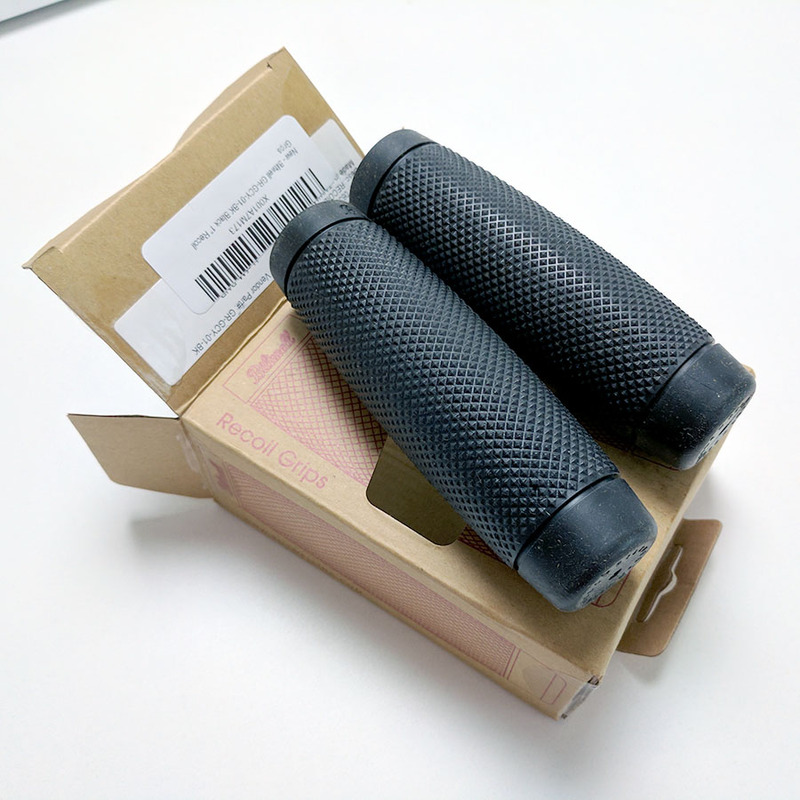 I know from experience how much work it can be to get the Granturismo grips off, so to make things easy and take less time, I simply sliced them off with a heavy duty, sharp box cutter. Following the instructions on the Biltwell box, I used WD-40 to lubricate the inside of the grips, and the outside of the bars, and just slid them on and into place. Within minutes they were dry enough and good to go. Then I re-installed the CRG mirrors and positioned them for optimum rear viewing. Once I had everything back in place and checked over, I took it out for a spin. Wow, what a difference! The Recoils are so much more comfortable than the Ganturismo’s, and require less grip to twist and maintain the throttle position. My hands immediately fell in love with the new grips! Here are the results of today’s work. I am very pleased with how this upgrade and modification went, both in function and in visual appeal. 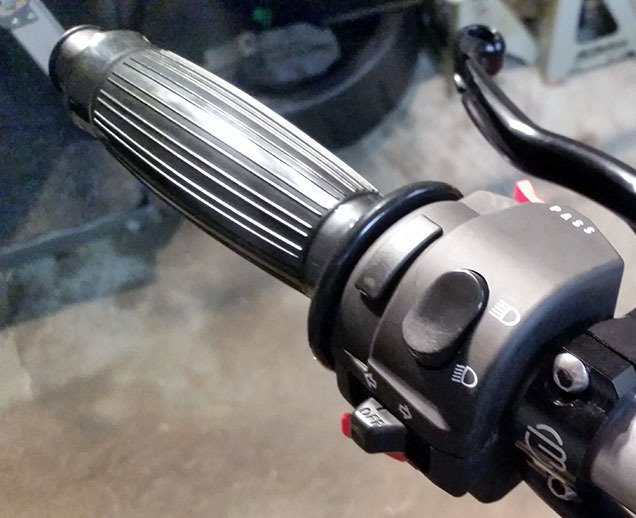 The acid test will be when I ride on the next rainy day and test out the Aerostich Triple Digits on these grips. I am pretty confident my grip is going to be much easier and better with these than when compared with the harder, slicker surface Granturismo’s.